biscoff is quickly becoming one of my favorite ingredients. i constantly find myself dreaming of other ways to use the creamy shortbread cookie butter. almost like it’s my job. these cookies were one of the first things i baked with biscoff and they have remained one of my favorites. 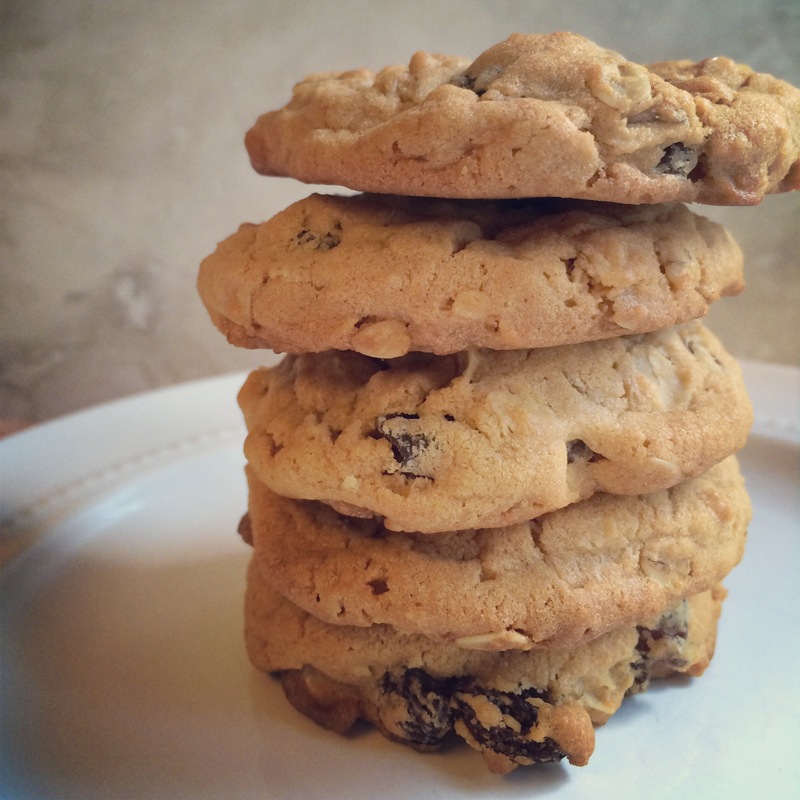 they have also become my go-to oatmeal raisin cookie recipe. the biscoff makes them ultra creamy and when they are straight out of the oven, ohmy i have a hard time finding the words to explain to you how dreamy they are. on the right day, these hit the spot just as well as some warm chocolate chip cookies, with a glass of cold milk. if you are unable to find biscoff at your local grocer, you can find it on amazon, or at the biscoff website – it’s actually cheaper here. 1. in a sandwich-size ziploc bag, place the raisins and the vanilla extract and seal tightly. lay flat on the counter to make sure all the raisins are sitting in the vanilla liquid. about 10-15 minutes later, flip bag to opposite side, to ensure they really soak it up. let them soak for at least 20-30 minutes, or up to overnight. this will make the raisins plump and will stay large & juicy through baking. (while you’re at it, lay out the butter to soften. by the time the raisins are ready, the butter will be too.) do not drain. 2. preheat the oven to 375. line 4 cookie sheets with parchment paper. 3. in a large bowl, whisk together the flour, oats, baking soda, and salt. in a separate large bowl, cream together the butter and both sugars, at about medium speed until light & fluffy. add in the biscoff and mix until completely incorporated. add eggs and mix until completely incorporated. mix at medium speed for about 2 minutes. 4. add in flour mixture and mix on low until just combined. then add in pre-soaked raisins and mix in with a spatula until just combined. using a cookie scoop, place balls of cookie dough about 2 inches apart on baking sheet. i love me a good muffin. so i was overjoyed when i stumbled upon this recipe a few months ago. 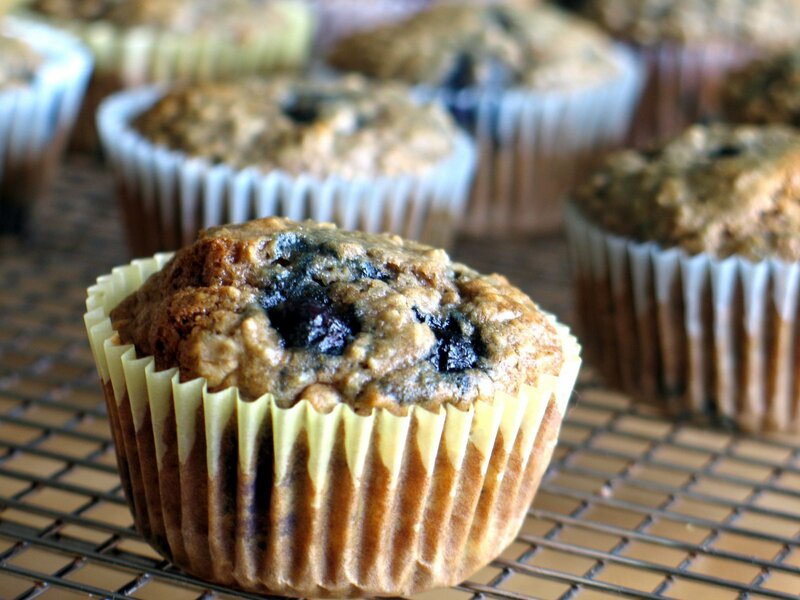 these muffins are low in fat, with applesauce in place of most of the oil that you usually find in muffin mixes. they are crammed with healthy oats & blueberries and the buttermilk gives them a great hearty taste. the little she loves them and i even got the hubs to try them (he, being a non-breakfast eater,was a big win). 3. in a large bowl, whisk together the flour, oats, baking powder, baking soda, salt and cinnamon. combine the applesauce, buttermilk, sugar, oil and egg in a medium bowl. 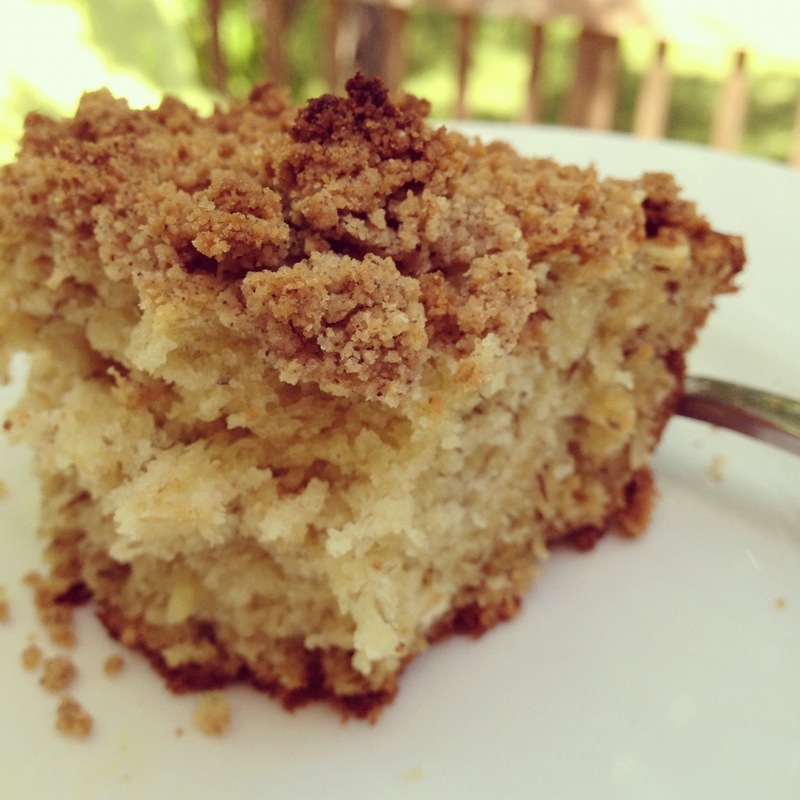 make a well in the dry ingredients and add the applesauce mixture, stirring until just moist. (make sure to not overmix them – the batter will be thicker than your average muffin batter.) carefully fold in the blueberries. spoon the batter into muffin cups. bake at 375 for 16-18 minutes.